Cosmetic Laser Dermatology in San Diego is excited to provide cutting-edge treatment with the PHAROS EX-308 Excimer laser, which is particularly effective at targeting vitiligo and psoriasis, among other skin conditions that produce white spots on the skin. If you suffer from vitiligo, psoriasis, or another condition that might benefit from Excimer treatment, this unique laser could be an effective way to manage them. The PHAROS EX-308 Excimer is a monochromatic, xenon-chlorine laser. 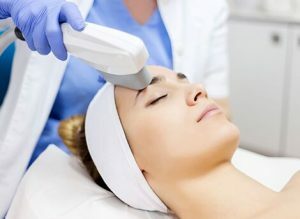 It is a small handheld device that emits ultraviolet light at a wavelength of 308nm (nanometers), a wavelength found to be more focused on treating various types of skin conditions without damaging the surrounding, untargeted areas. If you’re one of the 7 million-plus Americans who suffer from vitiligo or one of the 8 million+ who suffer from psoriasis, you know all too well that these skin conditions can greatly affect your appearance, which in turn, can be a blow to your self-esteem. Vitiligo is the development of depigmented skin due to loss of melanocytes, the cells that give skin its color. The result is patches of skin that are significantly lighter than your normal skin color. When treating vitiligo, the Excimer helps you regain normal pigmentation quicker, while for psoriasis, you get clearer skin faster and more effectively. If you have dark skin, the Excimer is particularly effective in reducing the prominence of vitiligo. Chronic sun exposure can damage the skin’s pigment and produce white spots, a condition known as idiopathic guttate hypomelanosis (IGH). This is most common on the arms and legs, and some people develop permanent white scars after surgery or treatment with liquid nitrogen. The Excimer laser is non-thermal (doesn’t use high heat) and non-ablative (doesn’t burn), which means it is virtually painless, though results vary due to patient skin sensitivity. The finger-switch on the proprietary handpiece delivers treatment to stubborn, hard-to-reach places, all while protecting healthy, unaffected skin. Additionally, the small handheld device makes treatment a snap at the Cosmetic Laser Dermatology office in San Diego; there is no need for a lengthy office visit. Your hectic schedule is practically undisturbed. Because the Excimer emits a specific wavelength of UV light (308 nm), this helps improve skin more effectively. Other UV-B laser systems have a range of wavelengths (290-320 nm) that don’t address skin that has lost pigmentation or has become rougher in texture as effectively because the laser energy is less focused and precise. This means longer laser treatment sessions and more sessions to get results. 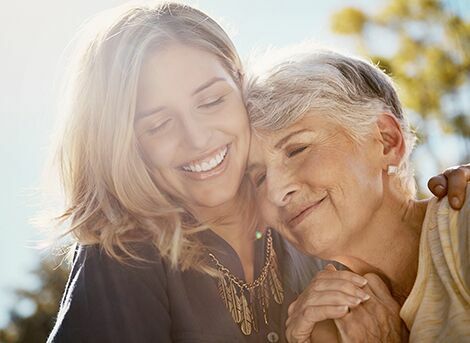 The Excimer laser, with its focused doses of controlled UVB light, is similar to traditional light therapy but with a big difference – the specific activation means that your treatments are shorter (usually less than half an hour) and that fewer sessions are required to get the results you want. ncbi.nlm.nih.gov explains more about what the Excimer laser can do. A: Anyone in relatively good health with vitiligo or mild to moderate psoriasis who has tried other treatments that haven’t worked. Learn more about vitiligo and other skin conditions at AAD.org. A: Yes. Because of the targeted laser, the surrounding skin or tissue remains untouched and unharmed. Your risk of premature skin aging is reduced. Your skin does not thin, bruise, suffer stretch marks, or experience other side effects that other treatments such as steroids or oral medications can render. Q: How Many Sessions Are Necessary? A: Although results vary, once your treatment plan is completed, you may experience 4-6 months of remission without regular treatments. Moreover, daily maintenance is usually not required. A: Treatment is virtually pain-free. During and after treatment, you may experience slight warmth on the skin, but this is normally mild and temporary – anesthesia is unnecessary. Afterwards, you could experience 3-4 days of redness, itchiness, and mild irritation, but other side effects are uncommon. If you are a patient suffering from such skin conditions as vitiligo or psoriasis, or have other cosmetically disfiguring white patches on your skin you might want to consider treatment with the Excimer laser or alternative laser resurfacing options to help better manage your symptoms. To learn more about your options, contact Cosmetic Laser Dermatology in San Diego to schedule a custom consultation today.